The 80 cm (32) hd hd ready led standard tv klv-32r422e TV is manufactured by Sony and was added around June 2017. 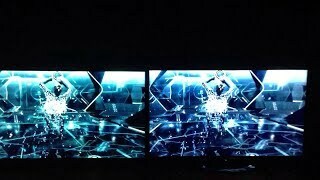 This version of the TV comes in Color : Slate , Display Technology : LED , Special Features : Without 3D , Refresh Rate : 60 HZ , Display Resolution : Full HD. 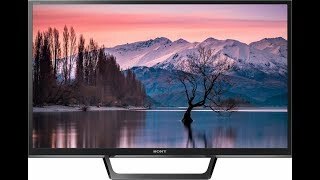 The best price for the Sony 80 cm (32) HD in India is ₹ 23990 sold at Snapdeal and available with free shipping and delivery within 1-5 working days . 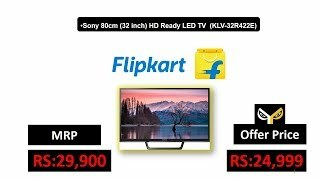 By comparing prices and buying from the cheapest store you can save up to 20% or ₹ 5910. 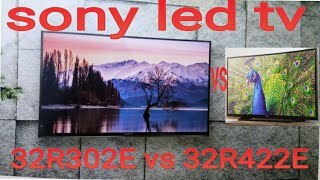 Sony 32R422E V/S Sony 32W622E..features configaration..what is different between r422e & w622e..?? ?